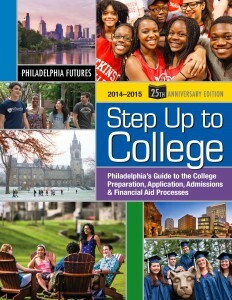 Click here to keep up to date on items to get your high schooler college bound. While MaST’s mission is to create innovative pathways for students in Math, Science, and Technology, MaST also prides itself on preparing students for College and future careers. In order to ensure that students get proper guidance and support, MaST has formed a counseling team that assists students with college and career planning. From career days, to internships, to filling out essential paperwork, the counselors are there for students every step of the way. In high school, our counselor facilitates the college admission process by helping students determine the college best suited to their education and future. Counselors work to minimize the confusion around the college selection process by answering questions and providing information. Communication is the key to the college selection process. MaST strives to provide good communication between the student, the parents, the counselor, and the colleges. The Pennsylvania Department of Labor and Industry has announced the release of the 2011-12 Pennsylvania Career Guide. The Pennsylvania Career Guide contains information about growing occupations, educational requirements, training opportunities and salary information. The tools found in the guide will help students and parents make informed decisions about their goals and what is necessary to achieve them. This year’s Pennsylvania Career Guide highlights jobs in both the allied health and manufacturing industries, which both feature highly rewarding occupations. The health care industry includes some of today’s most highly sought after careers, and various allied health professions anticipate high levels of growth in the coming years. Manufacturing industries are eager to train motivated people for the thousands of projected openings they have each year due to Pennsylvania’s aging workforce. The newest version of the Pennsylvania Career Guide has been posted online and is available on the publications page of Pennsylvania’s Work Statistics website. Graduates, please fill out this form to let us know which college you are attending. Click here to let us know what money has been awarded to you for your college experience.